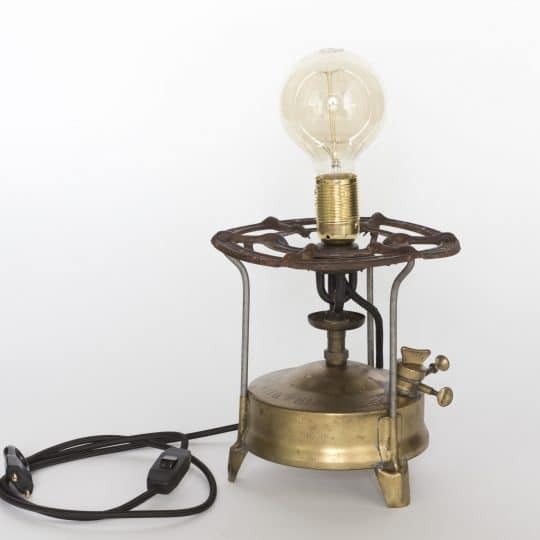 Handmade table lamp totally made of iron and inox modules. 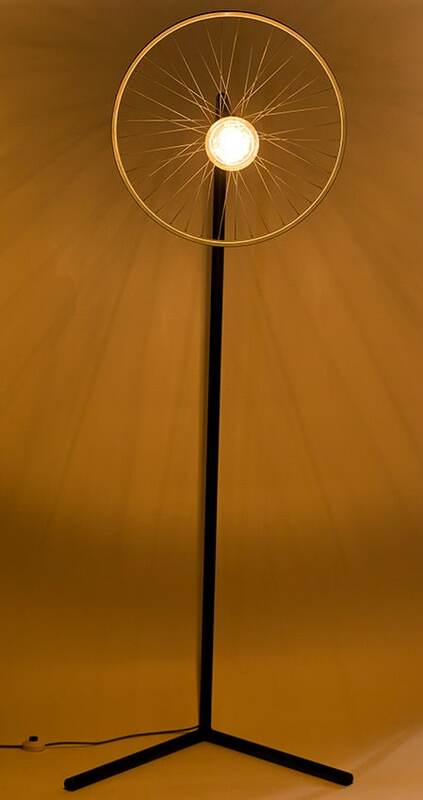 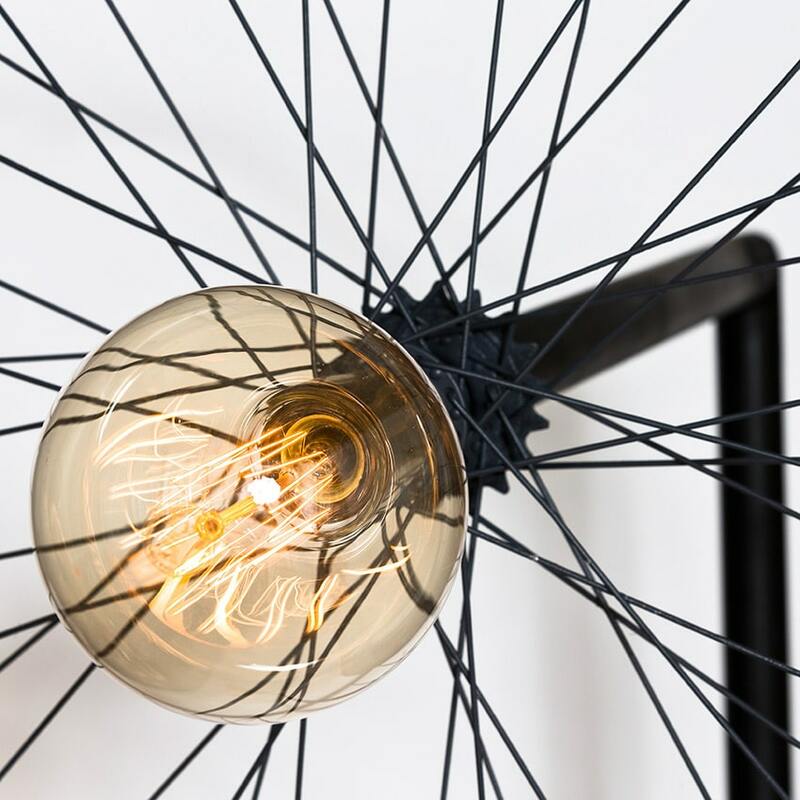 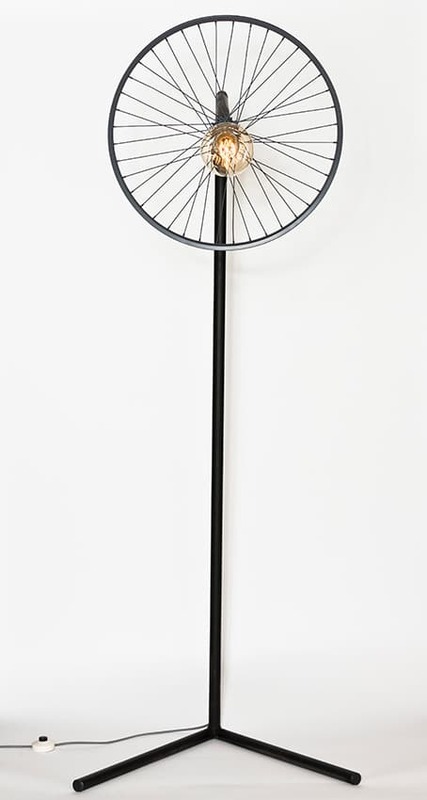 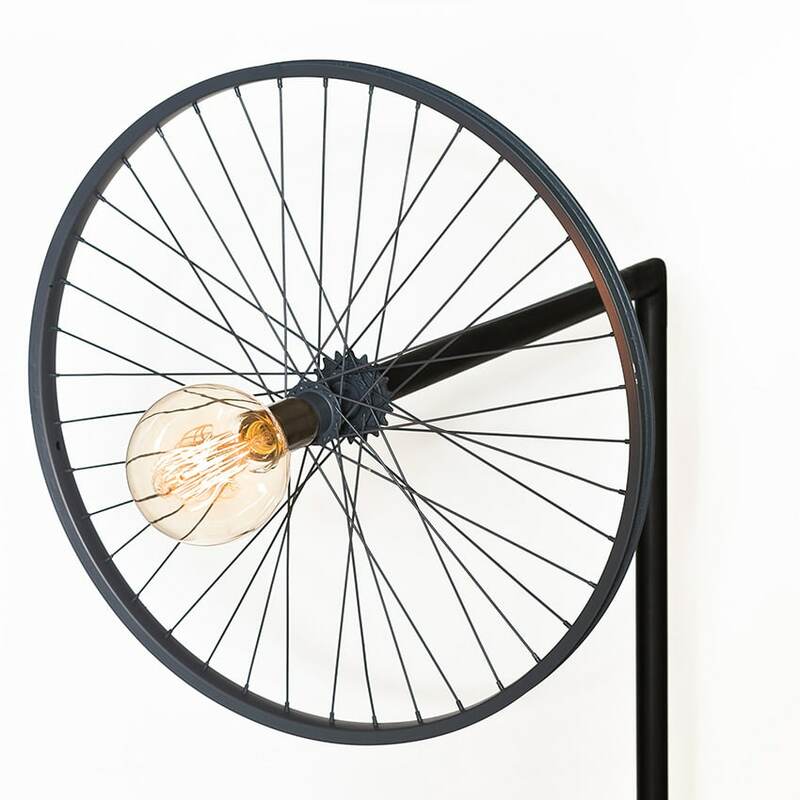 An outstanding floor lamp made of bicycle wheel and metallic base. 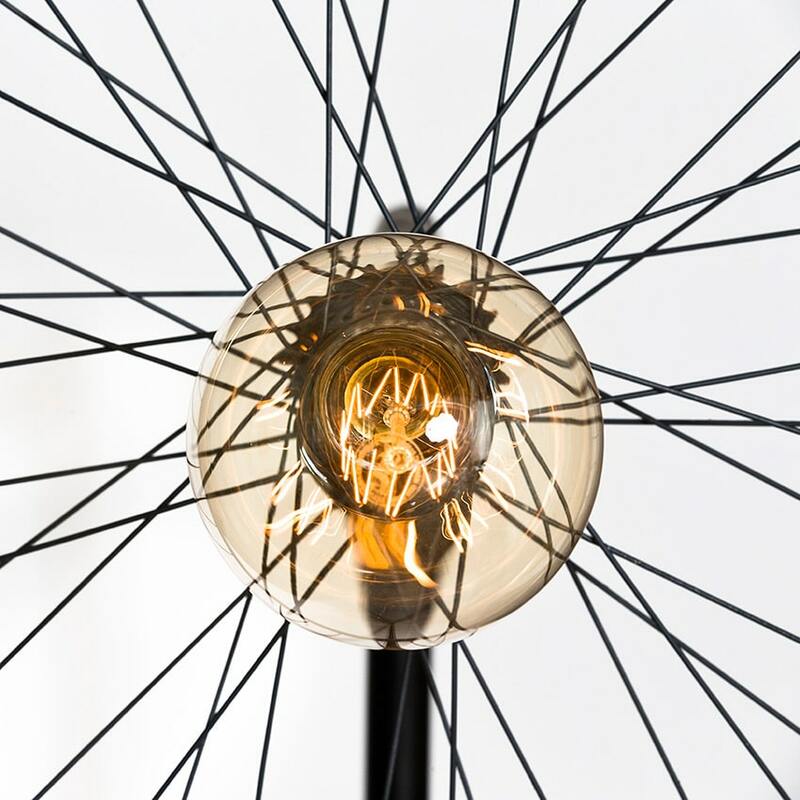 The grey cable and the grey mat shade of the wheel gives an extra intensity. 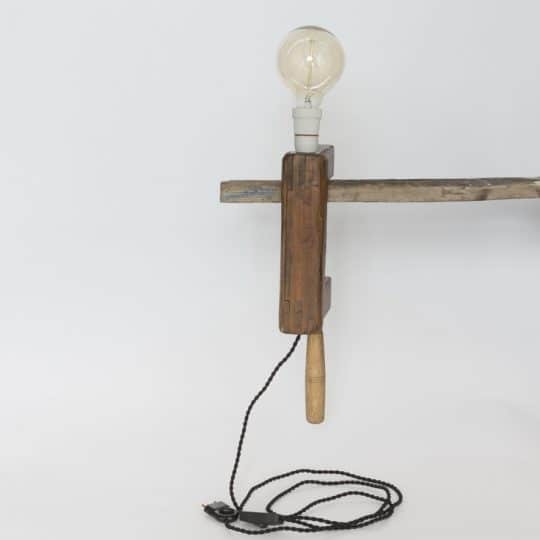 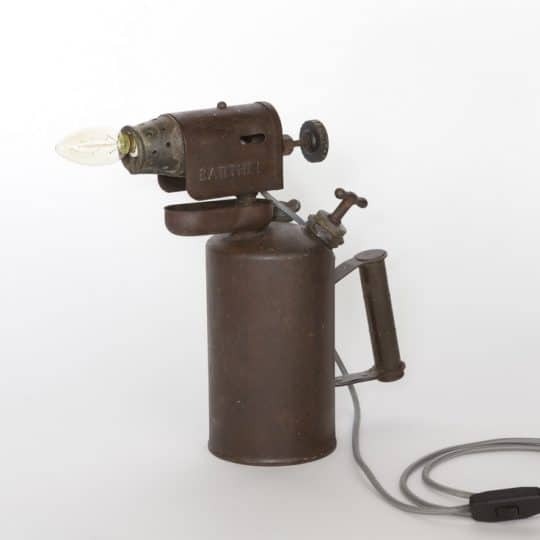 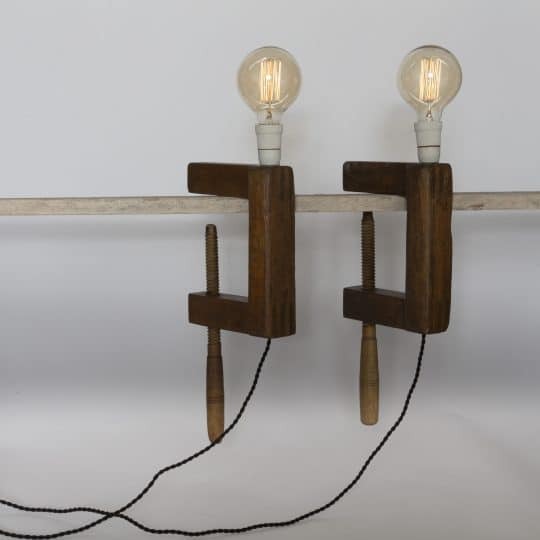 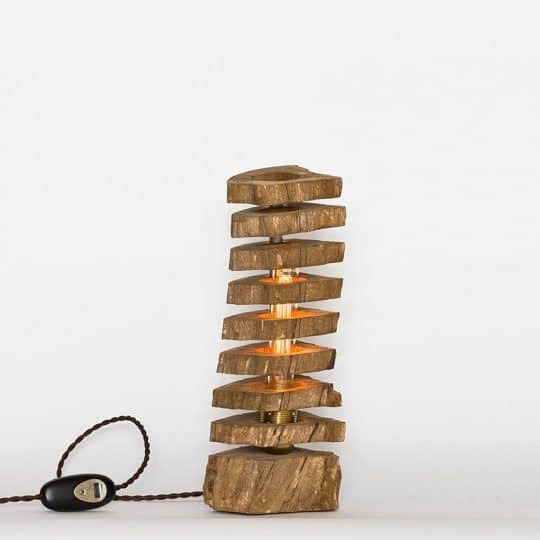 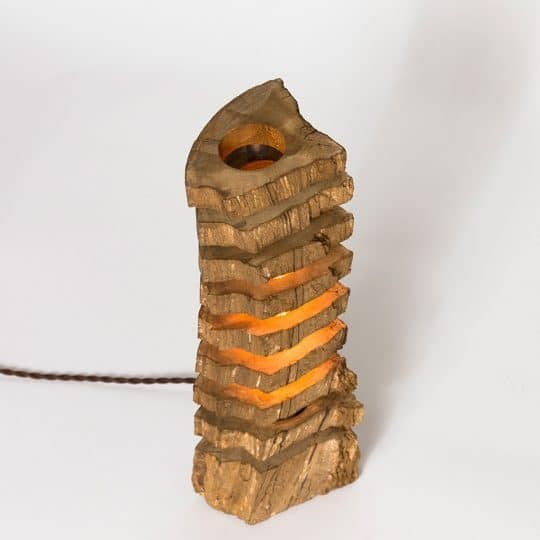 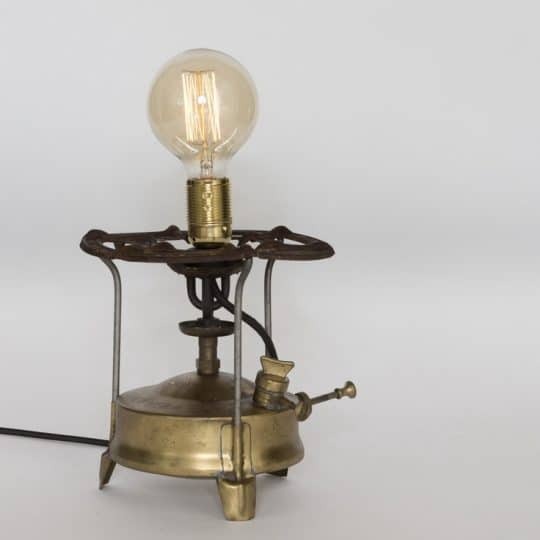 It ends to a retro Edison lamp which really «burns»!